As a fashion blogger, I am always looking for a quick, cute find. I have a thriving closet, but for some reason I always feel like my shoes never match. 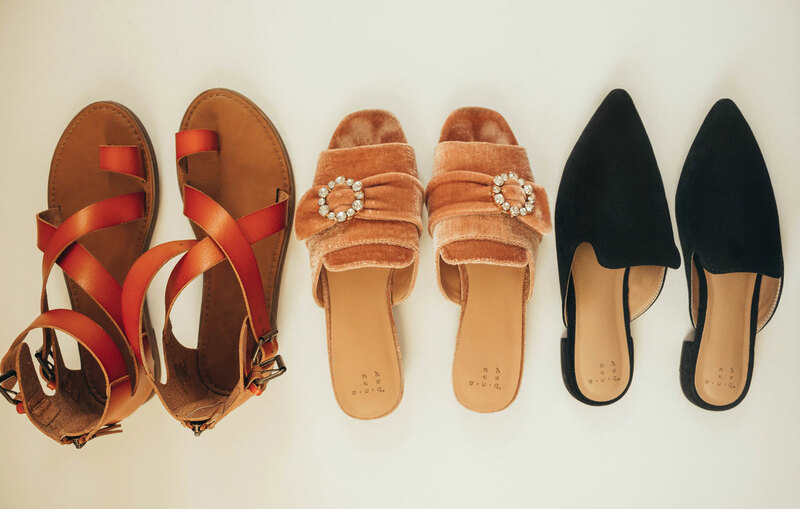 This is where the Target Summer 2018 Shoes collection comes into play. I love that I can walk into the easiest store and find a pair of on trend shoes, flats, heels and beyond for under $40. You really can’t beat that! And the quality of the shoes are really good. I never have had an issue with my Target shoes breaking, tearing, ripping or getting incredibly worn down. I always underestimate Target shoes! Those red fringe ones are such a fun statement shoe! Love all these affordable options!! Oh love them all! Especially the pink loafers, so cute! Target has so many cute pairs of shoes! I’m loving those velvet ones! Target always has the best selection of affordable shoes! I love Target shoes!!! These are such great pics!! I always forget about Target’s cute shoes. So many great options for summer. Adding a few of these to my wishlist! These are such cute shoes!!! and so affordable! !